Laoconnection.com: Want to Start a Business in Laos? 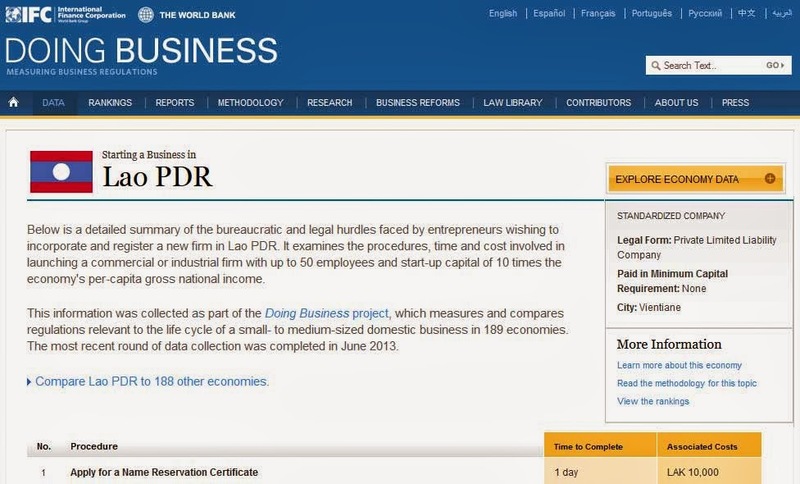 The World Bank has a website that tells you how you can start a business in a particular country as a foreign investor. It lists each step and type of task or documentation needed and how much it costs. If you're curious to see how it would be for Laos, check out the link below. 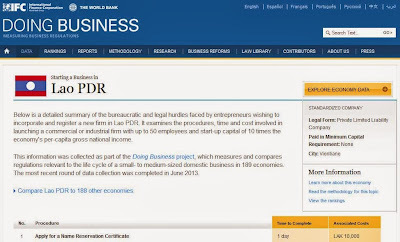 Starting a business in any country can be a challenge. Laos certainly has its own set of challenges. There are many caveats, paperwork, cultural details and the commercial environment that entrepreneurs and business people need to be aware of. Preparation is key.